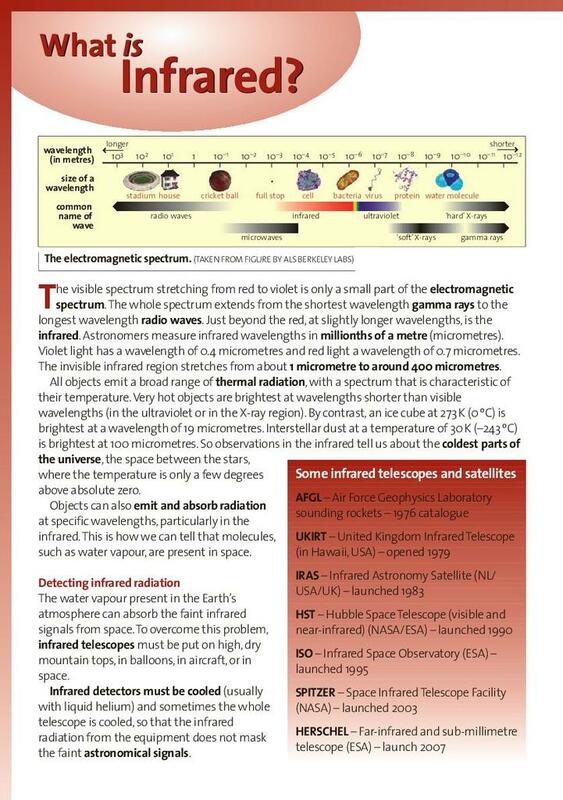 Produced by the Royal Astronomical Society, this booklet describes the advances and uses of infrared astronomy. Using this wavelength to observe the universe allows astronomers to visualise phenomena such as dust clouds involved in the formation of new stars and identify elements present in the atmosphere of distant planets. There is also information on the use of infrared in the observation of the Earth.